Bring home the iconographic and statuary pattern of Buddhism that represents the historical Buddha, about to enter the parinirvana. The sleeping Buddha is a resemblance of karma, rebirth, hope and peace. Give your house a soothing touch with this artistically crafted showpiece that retains the traditional essence of Buddhism along with a contemporary look. The polyserin material makes it highly durable and resistant to damage. This is an ideal piece for home decoration in your living room, temple, hotel and even offices. 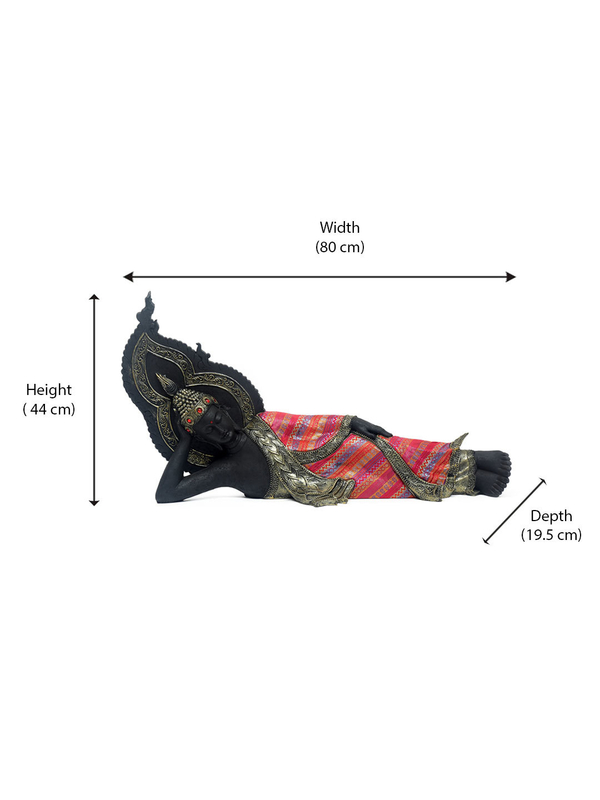 This Sleeping Buddha Showpiece would be great for spiritual gifting during festive seasons and also ideal for birthdays or wedding gifts.